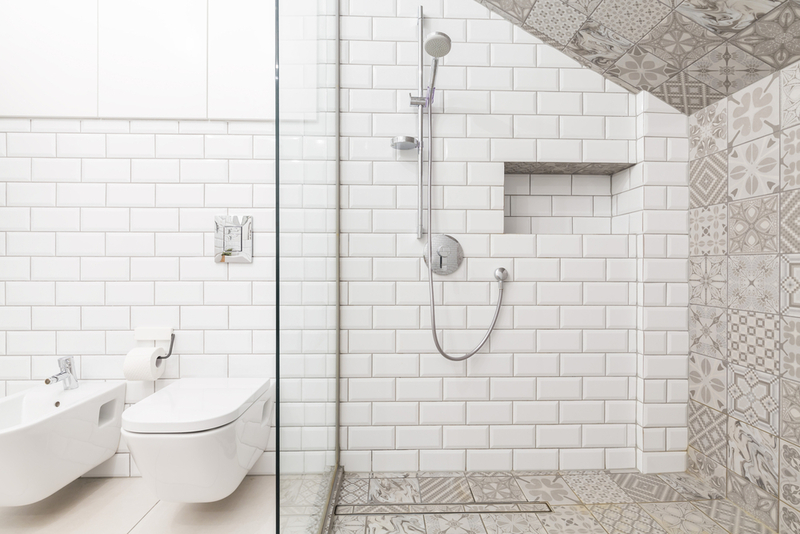 At Strassburger Tile Perfection, we’re the experts in installing and waterproofing tiled showers. Making sure your shower is properly sealed and waterproofed is essential to ensuring that it lasts, and tile sealants are key in this process. What Is A Tile Sealant? Tile sealant is a liquid that is applied to the surface of your tile and grout which protects the surface from oxidation, natural deterioration and daily wear. Sealants are especially useful for tiles that are unglazed, whether they are travertine, ceramic or porcelain. What Type Of Tile Sealant Should I Choose? There are two main types of tile sealants to choose from: penetrating and surface. Penetrating sealants are absorbed into the tile and grout and form a kind of shield beneath the tile’s surface. This type of sealant does not typically change the appearance of the tile. Surface sealants sit on the surface of the tile and form a non-porous, stain-resistant seal. Surface sealants tend to enhance the colour of the tile and add a slight sheen. It’s best to have a professional seal your tile and grout so that you know it has been applied properly. While not all tiles need to be sealed, applying a sealant to your shower tiles adds an extra layer of protection from moisture, mould and mildew which is important for bathrooms. Unglazed, denser tiles like porcelain should only be sealed with a penetrating sealant, while highly absorbent tiles can be sealed with both kinds of sealant. Shower tiles should always be sealed immediately after installation — but we know that some shower installation companies will skip this step, or will seal the shower with a low quality sealant. Always be careful when sealing older tiles, and be sure to clean them properly to remove any mould or mildew that might have taken hold before sealing. If you don’t perform a thorough cleaning, mould can continue to grow beneath the sealant. At Strassburger Tile Perfection, we can help you with all of your shower tile installation, cleaning and sealing needs. Contact us today.